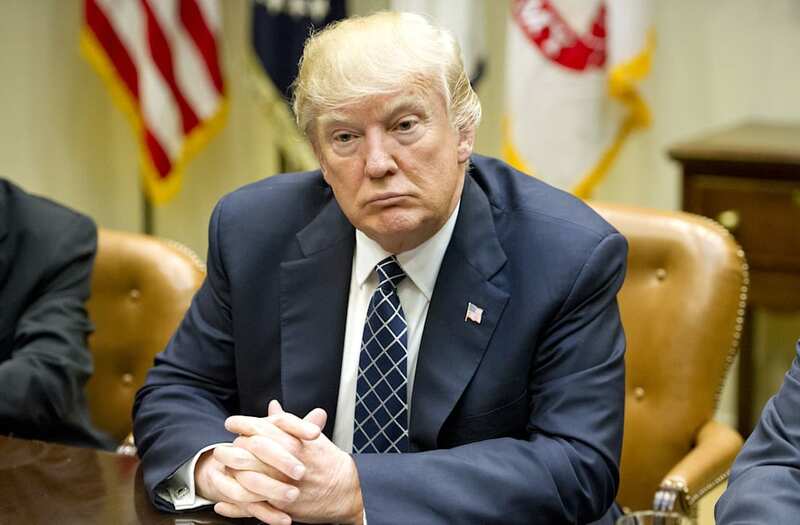 President Donald Trump is closing out the month of March by hitting record low approval ratings two times in the same week. According to a new Gallup poll released on Wednesday, Trump's job approval is now 35 percent -- his lowest since taking office. The president's latest historic dip comes only two days after Trump hit his previous lowest approval number of 36 percent this past Monday. The FBI is investigating collusion between @realDonaldTrump's campaign & Russia. When will the GOP end the charade & put country first? #Trumpcare, Russian collusion, & a stolen SCOTUS seat: what more do Dems need before they bring govt to screeching halt?
. @20committee said on radio that IC has "devastating information" that there was "active collusion" between Trump inner circle & Russia.
.@DevinNunes is trying to cover-up Trump's involvement in undermining our democracy and his possible collusion with the Russians. Isn't it amazing that Clinton was getting cheat questions, Media was in collusion with her & Obama's NSA was tapping #Trump & HE STILL WON! Trump's numbers have been in sharp decline throughout March -- he entered the month hovering around a 43-45 percent, and has since fallen nearly 10 percentage points to 35 percent. Unlike most presidents, Trump didn't get the luxury of going through what many call a "honeymoon period" of his presidency. Instead, Trump entered the White House with a sub-50 percent approval rating and has been falling in favorability ever since. The new White House administration has been caught up in controversy after controversy since taking office, and March was no exception. This month alone the president failed to deliver on his campaign promise of repealing and replacing Obamacare, the FBI revealed they are investigating campaign ties to Russia, and earlier in the month the president accused his predecessor -- former President Barack Obama -- of wiretapping his campaign. Trump has continued to push back against the negative reports surrounding his team, tweeting last week, "Just watched the totally biased and fake news reports of the so-called Russia story on NBC and ABC. Such dishonesty!"